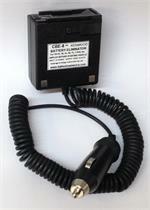 PB-10: 7.2 volt 1100mAh rechargeable Ni-MH battery pack for KENWOOD radios. Fits TH-25, TH-25A, TH-25E, TH-26, TH-26A, TH-26E, TH-45, TH-45A, TH-45E, TH-46, TH-46A, TH-46E, TH-75, TH-75A, TH-75E, TH-77, TH-77A, TH-77E, TK240, TK340, TK320 (all worldwide versions). 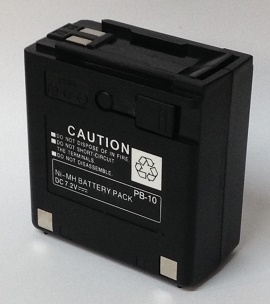 Replaces original battery model #s such as PB-6, PB-7, PB-8, PB-9, PB-10, KNB-5, KNB-10, etc. Recharges with our plug-in charger (PB-6WC), OR with a desktop drop-in charger such as the KSC-14. The original slide-on slow-charger will also work for this battery (charge time = about 18-20 hours).